I have lots of projects stacked up, but I’m working away at them and making some good progress. 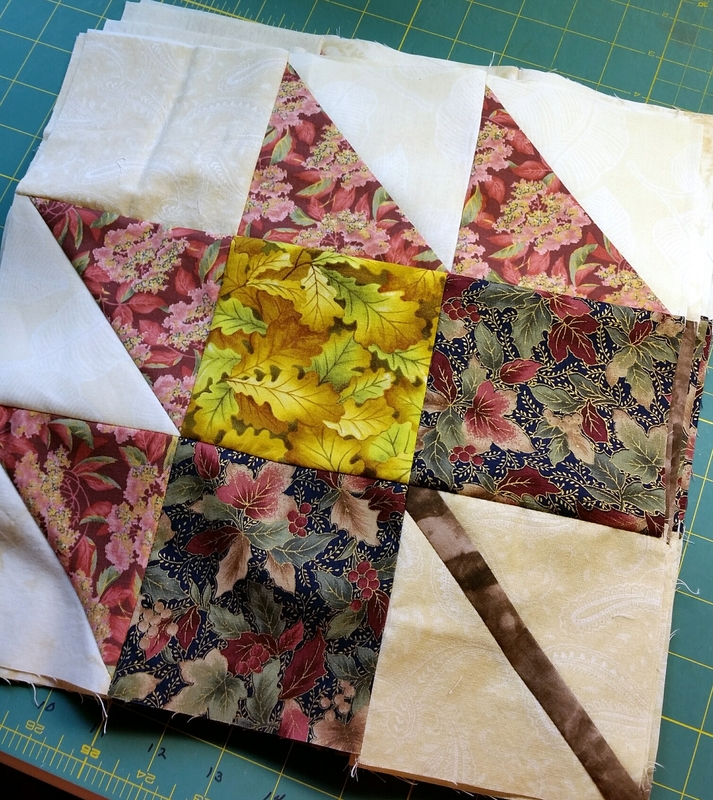 In a little open spot, I made these six maple leaf blocks for Kat’s November block drive. They’re a little repetitive, but I found I had a ton of triangles in the right size, so in they went. The next project I’m working on is a quilt for a sick friend. Unlike most of my projects, I had to order all the fabric for it. The backing and border fabric came first, so I pieced the backing and cut the borders. Yesterday the rest of the fabric arrived. I had to wash the darks four times before the Color Catchers came out clean. Today I sewed 54 blocks drunkards path blocks. 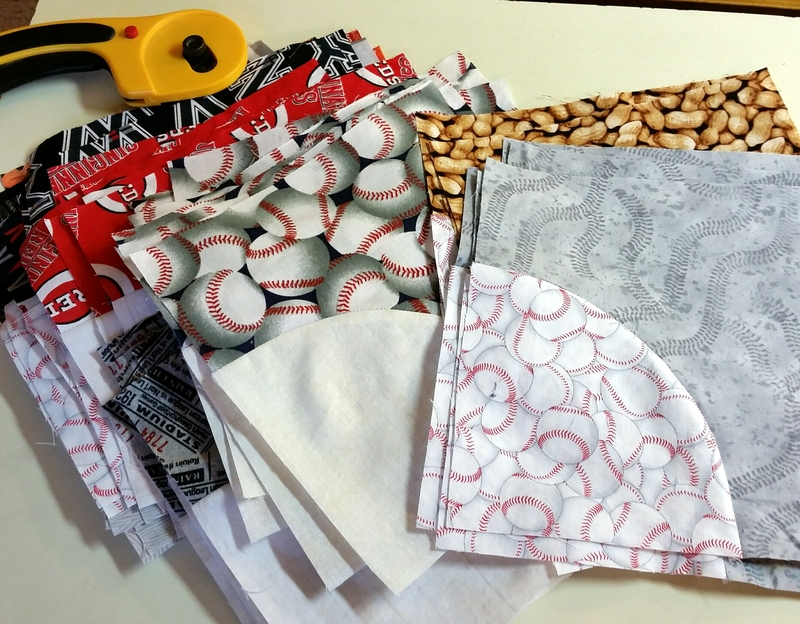 Yes, it’s a baseball quilt. Hope you’re doing well in all your projects. Categories: Uncategorized | Tags: baseball, Evening in the Garden, Valerie Root | Permalink.